It's day two of our Destination: Fall Weddings week as part of our ongoing #DestinationX series. Typically when we think of fall weddings, visions of warm oranges and brassy reds flood through our minds. Bouquets with rustic floral gatherings, splashed upon a tapestry of fall foliage in the background. We’re ready for our Pumpkin Spice wedding cocktails just thinking of it. So we’ve rounded up 10 destinations perfect for a fall wedding. Whether it’s a small, intimate gathering or the ball of the fall, we have you covered. 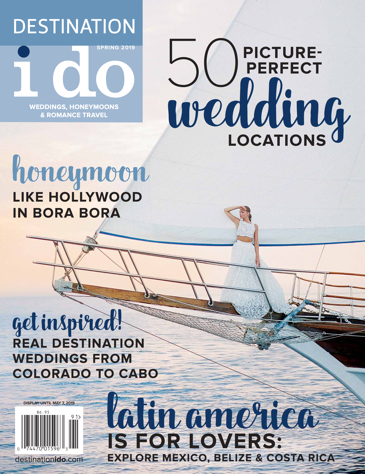 And we were sure to include different pockets of the globe and the benefits of a fall wedding in those spots. Vineyards. Fall foliage. And California. Talk about the perfect trilogy of offerings you can share with your guests. Napa Valley offers views of rolling vineyards, every hue of fall you can imagine splashed across leaves and of course activities for guests to enjoy, apart from the wedding itself. The Westin Verasa Napa overlooks the riverbank, so it’s an ideal spot for an outdoor ceremony or reception in downtown Napa. The outdoor terrace is punctuated with string lights, perfect for dancing underneath a star-soaked sky all night long. Indoor and outdoor offerings are available. 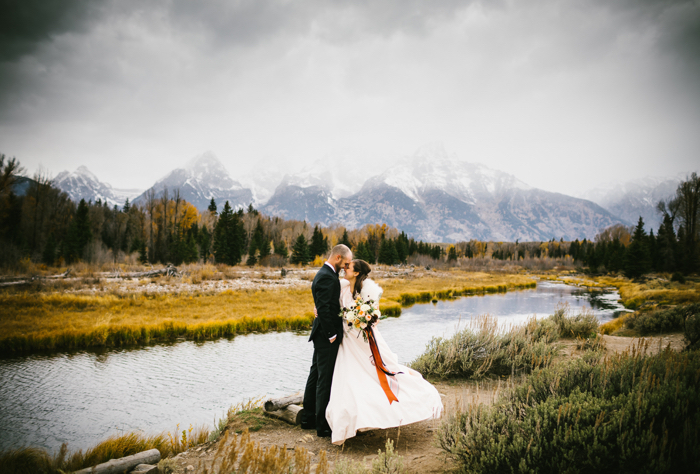 With close proximity to Grand Teton National Park (just one mile away), many of the hotel’s guests get married in the park in nature’s entire splendor and then move to the hotel for the reception. If you choose to have your mountain getaway wedding with Four Seasons Jackson Hole, you’ll have access to a Five Diamond/Five Star catering team, where you can curate custom menus with local influences of the region. From local game meat and fish to other indigenous ingredients such as huckleberries, your guests will have a unique experience they won’t get every day in their own backyard. Various ceremony and reception options are available, including the ballroom and an outdoor setting in an Aspen grove. Sprawled across 37,000 acres of ranchland, The Resort at PAWS UP in Montana has seen it all. From brides and grooms arriving on horseback to standing in the Blackfoot River. They’ve even spotted brides and grooms fly fishing on their special day. There are a myriad of ways to make your ceremony magical. You can exchange vows on the Wedding Knoll surrounded by panoramic views of the ranch or you can opt to hold your ceremony in the genuine 100-year-old Bull Barn underneath glittering chandeliers. 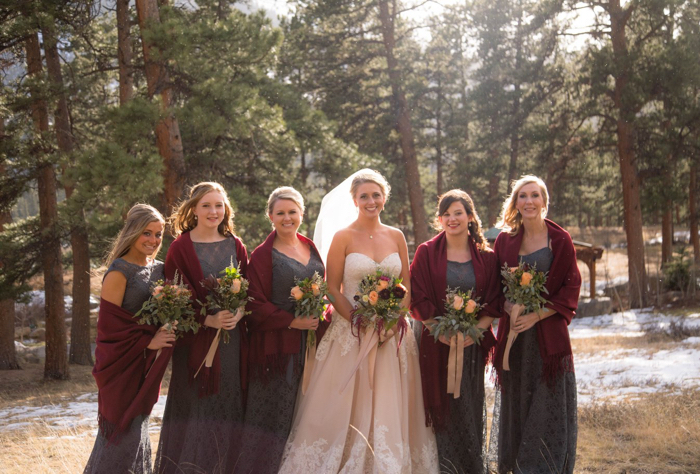 This Colorado escape was made for fall weddings. If you time it right in October, golden Aspen trees all around will envelop you for an outdoor ceremony. Some couples even opt for planting an Aspen tree, instead of pouring sand or lighting a unity candle. Guests will enjoy and appreciate something specific to the region and symbolic in the ceremony. The property is a luxury boutique inn and wedding venue, located above Estes Park at the Fall River entrance to Rocky Mountain National Park. The chateau overlooks 14 secluded acres surrounded by nature and endless mountain ranges. Not your typical wedding venue, Kentucky offers weddings at a horse race course. Beyond the historic, world-class meets at the venue, Keeneland is an iconic Southern wedding venue offering beautifully landscaped grounds, showing off the colors of autumn and pure southern charm. Couples can choose from a variety of sites to tie the knot on the property including a rustic barn, Keene Place Mansion or the clubhouse lawn, which offers the ultimate view of the racetrack. With the lush, bluegrass countryside and rolling hills surrounding Keeneland – autumn’s bright colors and crisp aromas make for a memorable wedding day setting. The catering team also focuses on locally sourced menu options, including caramel apple cheesecake. Nestled among Vermont’s Green Mountains, this resort provides a breathtaking setting for wedding celebrations. The resort has several venues that are treasures to the area, including inns that can be bought-out entirely by a wedding party, as well as a pond side ceremony locale, complete with its own floating dock. The Equinox also offers an extensive amount of activities that can turn a normal wedding weekend into the ultimate New England escape. From a challenging off-road driving course through the woods to a romantic picnic at the top of Mt. Equinox, there will be something for everyone. Guests may even learn about the art of falconry from a master falconer while brave participants can also fly a trained hawk in the Vermont wilderness. This is an East Coast wedding destination no one will forget. The idea of a Tuscan wedding is enchanting and romantic during any season. But an Italian wedding dripping with the fragrance of fall and collaged with vivid colors? Sounds like a movie. The Renaissance Tuscany overlooks the ever-changing colors of the mountainous Serchio Valley. As fall advances and the crowds lessen, this estate-turned-hotel becomes an ideal place to tie the knot. The property offers a range of outdoor and indoor spaces, from gardens and terraces overlooking the valley, which is an ideal backdrop for photos with continuing hills and medieval villages setting the stage for pictures. 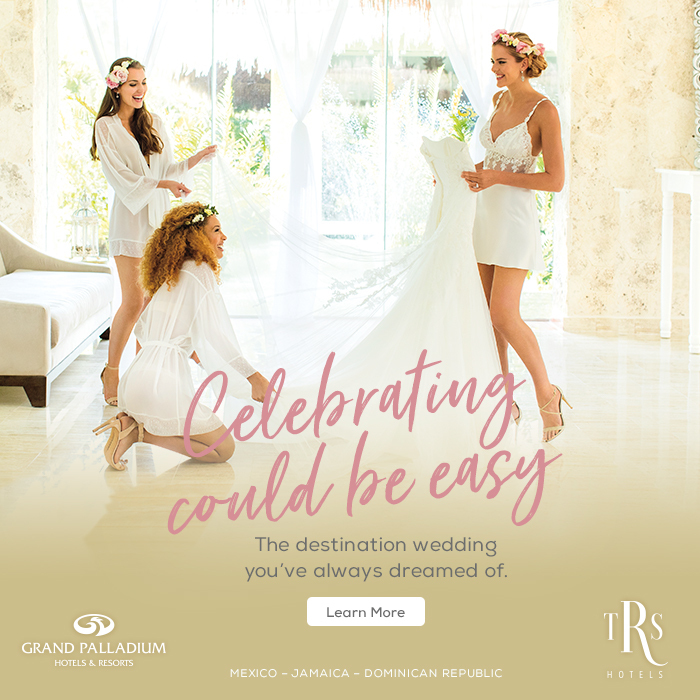 The resort also offers wedding guests one-of-a-kind experiences including chef-led tours through quaint farmers markets, cooking lessons and biodynamic wine tastings. If you’re seeking an international Irish wedding, perhaps this 18th century venue nestled in the Cavan countryside, overlooking Lough Ramor, will allow your fairytale wedding to transform. This estate is rich with history, as it is the former home of Lord Headfort and his actress wife Rosie Boote, who later became the Marchioness of Headfort. Since then, the property has been brought back into Irish hands and is just 50 minutes from Dublin. This private home is a personal backdrop for bespoke wedding celebrations and comes alive with color and beauty in the fall. If you opt for an outdoor soiree, the property has an exclusive pavilion with lake views or an 18th century banquet room. You’ll likely spot menu offerings swirling around fresh produce from the property’s Gooseberry Gardens and farm. 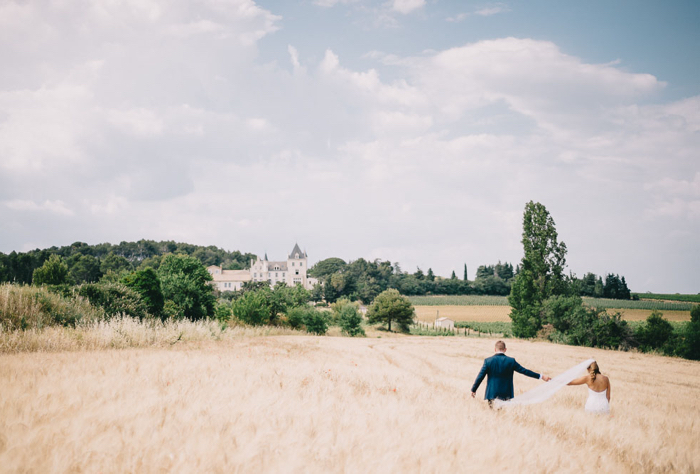 Along the same lines of a European fairy tale, this storybook wedding venue will fill the pages of your story at Château les Carrasses. It’s literally a castle. It doesn’t get more princess-like than this 19th century fairy tale setting in the French Languedoc amidst beautiful vineyards, which turn golden in the fall. There is even an orangery on-site, which would be a different experience for guests to enjoy. And they can pick oranges for the freshest mimosas. This romantic and chic venue also offers luxurious catering options, a brasserie and a winery on property. The Languedoc terroir is one of the richest wine regions in the world, filled with countless vineyards that are easily accessible from the chateau. For a UK nuptial escape, Highbullen Hotel, a magnificent country manor set in a sprawling 125-acre estate overlooking nearby Exmoor National Park, is one of the most idyllic wedding venues in the British countryside. The venue is licensed for civil wedding ceremonies in various stunning locations across the grounds, whether it’s an intimate affair of 10 or a larger celebration of up to 400 guests, Highbullen tailors the big day with help from the team’s dedicated wedding coordinator. And the British countryside in the fall is awakened with a palette of vibrant autumn shades. Photos courtesy of (in order of appearance): Della Terra Mountain Chateau (1st & 7th), Chateau les Carrasses (2nd & 6th), Four Seasons Resort and Residences Jackson Hole (3rd-5th), Renaissance Tuscany Il Ciocco Resort & Spa (8th), The Resort At PAWS UP® (9th & 10th), The Equinox Golf Resort and Spa (11th & 12th), Virginia Park Lodge (13th & 14th), The Westin Verasa Napa (15th) & Keeneland Race Course (16th).